A new whisky trail is set to open in the Scottish Hebrides connecting four neighbouring distilleries through a 115-mile route. 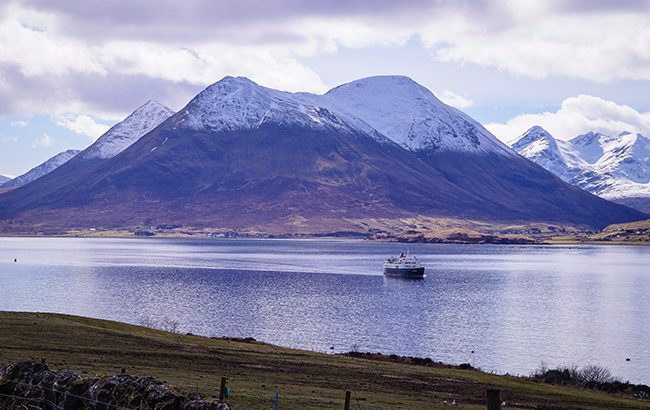 The Hebridean Whisky Trail will run between the Isle of Raasay Distillery, Torabhaig Distillery, Talisker Distillery and the Isle of Harris Distillery. The new trail will cover land and sea, with three Calmac ferry crossings connecting the destinations as well as yacht berthing facilities near to each distillery. Karen Betts, CEO of the Scotch Whisky Association (SWA), will officially open the Hebridean Whisky Trail on 15 August at a ceremony at Raasay Distillery. Betts said: “The trail is a wonderful addition to Hebridean tourism. Newcomers to Scotch whisky and aficionados alike can enjoy visiting these uniquely island distilleries, each offering something quite different in terms of heritage, location and, of course, Scotch. “Whisky tourism is, of course, increasingly important to Scotland’s economy and rural communities. In 2017, there were 1.9 million visits to Scotch whisky distilleries in our iconic whisky regions from all over the world, spending £61m in the rural economy.